DEEP RIVER — Learn the Art of Reiki at the Deep River Library on Saturday, April 14, at 1 p.m. Reiki is a Japanese technique for stress reduction and relaxation that promotes healing. This alternative approach has been shown to provide help for stress, headaches, insomnia and boost confidence and self-worth. Learn how to channel energy through touch to help restore physical and emotional well-being. 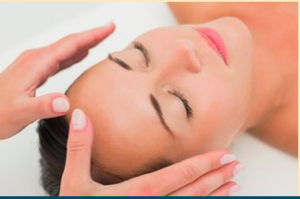 Under the guidance of Reiki Master Stephanie Rosally-Kaplan, participants will not only learn about the history of Reiki, but they will be trained on essentials such as meditation, treatment, chakras, crystals, essential oils and self-care. Every major fundamental will be covered in this four-hour-class and partakers will earn their Reiki 1 certification. Registration is required for this program and limited to 10 participants. You must register through our Signup Genius, which can be accessed at this link.